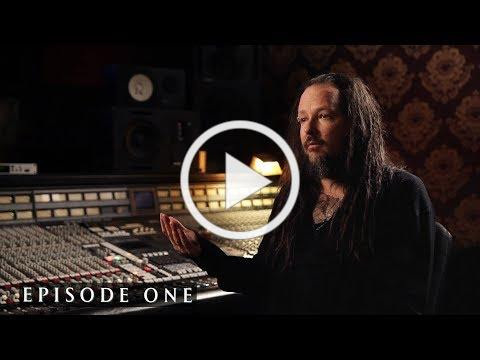 The making of each track on the album was documented with a YouTube mini-series ‘Though The Black Labyrinth’ where Jonathan talks through the process behind each song on the album – how they were written, recorded and the meaning behind them. 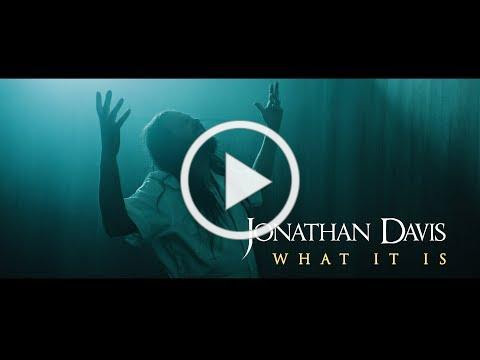 The music of ‘Black Labyrinth’ represents a natural step for Jonathan. A true original, the overpowering figure he casts behind that H.R. Giger-made microphone remains just as iconic as his signature scream does. His output in Korn encompasses two GRAMMY® Award wins, worldwide sales of 40 million-plus and countless sold out shows in nearly every corner of the globe. Throughout over 20 years in music, his presence coursed through film scores to popular video game franchises, and official remixes for the likes of Steve Aoki and more. Along the way, he lent his voice to tracks for everyone from Linkin Park toTech N9ne. Jonathan Davis is one of rock’s most iconic and prevalent frontmen and one of modern music’s true geniuses. 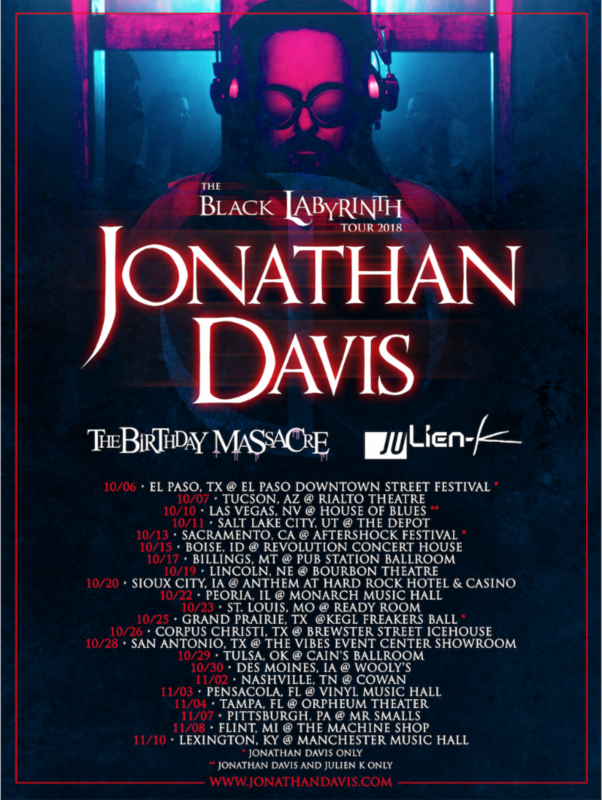 The Black Labyrinth Tour provides fans the opportunity to watch him bring these complex, thrilling and emotive tracks to life. You definitely don’t want to miss this one.